Good Morning Onward Nation…I’m Stephen Woessner. And thank you for making last week our highest download week ever here at Onward Nation. I want you to know how grateful I am that you take the time to download our episodes, to listen, and to share your wonderful feedback. Thank you so very much. And if you listened to last week’s solocast, you know that it was a deeply personal topic for me because I took you really far behind the green curtain and into my relationship with one of my first — and one of my most influential mentors — my grandfather, Peter Maronitis — and how he taught me to never ever quit. And there were times when I struggled getting through last week’s message — but — that is just because the life he led and the lessons he taught to me were so uncommon and immensely valuable. But…we made it through, right, Onward Nation? So for today’s solocast, I am going to — in some ways — pick up where we left off last week — regarding quitting. And how we should never ever quit. 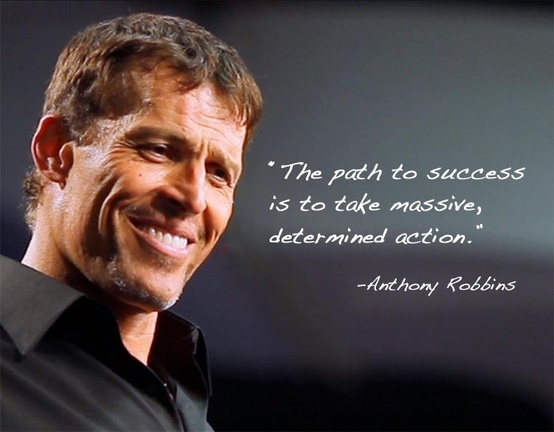 I will illustrate that by sharing a lesson I learned from Tony Robbins. It is a story you may know — and some of you may know it very well. Just like last week in the story about Peter Maronitis, this will be a story about grit, about perseverance, about tenacity — and being so committed to what you want to do — what you believe in — your why — that you work desperately to create it. You must relentlessly pursue your dream — your passion — what will make you totally happy in this world. So this week…I will share the story of the humble beginning’s of Sylvester Stallone — one of Hollywood’s most successful actors of all time. But Stallone didn’t have success handed to him…he had to earn it…he had to knock down obstacles and barriers to prove he was worthy…he had to starve, he had to endure hardship, he had to freeze in his New York City apartment, he had to go without everything, he had to find solace and heat in the public library. He had to face brutal and cruel rejection over 1,500 times, Onward Nation. And yet…despite all of that…he did not quit…ever. There’s a lesson in greatness in this story — so let’s jump into the story as it was shared by Tony Robbins. Sylvester Stallone had been listening to some of Tony’s audio programs…found them to be awesome…so Stallone did what any of us would do…he invited Tony over to dinner so they could talk things over. As an aside…I’m looking forward to having Tony Robbins as my guest on Onward Nation in the future — I will definitely keep you posted on that. So Stallone agrees to share his story with Tony. Stallone tells Tony that his whole life, he knew what he wanted to do, ever since he was very very young. He wanted to be in the movie business. Period. Not TV. But the movies. And for Stallone, being in the movies was an opportunity to help people escape the realities of their day — but it was even more than that — it was an opportunity to inspire audiences. And that drive — that passion — is what made most of his movies inspiring to lots of people. His focus was always to help audiences see how they could overcome unbelievable obstacles — because in his own life, he felt that he had done that. For example, he told Tony, when Stallone was born — he was pulled out of his mother’s womb with forceps, and that’s why he looked the way he did and why he talked the way he did. No, it was nothing like that at all. In fact, the early years of Stallone’s career didn’t work out real well. He was alone, hungry, and grinding it out — just to survive. They made fun of the way Stallone talked, and told him that there was no place for him in the movies. They said, “You’re never going to be a star. You’re insane. No one is going to want to listen to someone who looks and sounds dopey, and talks out the side of their mouth.” How cruel is that, Onward Nation. Imagine if someone said that to you…how would you feel…what would you do…how would your confidence be shaken? Stallone received no…after no…after no…after no. Stallone told Tony that he was thrown out of more than 1,500 times with agent offices in New York. He then told Tony about a time that he had made it to the agent’s office at 4:00 in the afternoon and he wouldn’t agree to see Stallone. So Stallone stayed there…he wouldn’t leave. In fact, he stayed there all night until the agent came back the next morning…and Stallone was still sitting there. That is how Stallone got his first movie role, Onward Nation. The power of never quitting. And he said, no this other movie that Tony had never heard of was his first movie. So Tony asked him what character did you play and Stallone said, “Oh, well, I was in it for about 20 seconds and I was a thug that somebody beat up because they made me feel like people hate your guts so you getting beat up will be a good thing”. And he did three movies like that. But then never got anything more — yet he kept going out to look. And he only received rejection, rejection, and more rejection. Did he give up? Did he quit? Heck no! Finally Stallone realized that it wasn’t working. So he changed his approach. Why? Because he was desperate — he was starving — he couldn’t pay to even heat his apartment — and his wife was screaming at him every day to go get a job. Stallone said his wife didn’t understand that at all. And they had vicious fights — and it was freezing — he was broke — they had no money — so one day he went to the New York City public library because it was warm. He didn’t plan on actually reading anything — but was hanging out there and sat down on a chair and someone left a book there. Stallone looked at the book and it was the poems and stories of Edgar Alan Poe. Stallone started reading it and totally got into it. How Poe had lived, how he died, what really happened, Stallone studied all of the details. So Stallone began his hand at writing…he tried to write several screenplays, nothing worked and he and his wife were still totally broke. He didn’t even have $50 to his name. But selling that script actually never led to anything. So Stallone kept going and going and going and going…finally, he was so broke, that he sold his wife’s jewelry. She hated his guts so much…they were so broke…they had no food…no money…and the one thing that Stallone loved most in the world was his dog. And Onward Nation…this is where the story gets really really good. Painful — but a great illustration of never quitting. Stallone loved his dog because he gave unconditional love…unlike his wife. And so what happened was…Stallone was so broke that to survive, he couldn’t even feed his dog, so he went to a liquor store — it was the lowest day of his life — and he stood outside the liquor store — and he tried to sell his dog to strangers. Stallone tried to sell his dog for $50. And finally, this one guy negotiated with him to buy his dog — his best friend in the whole world — and he sold him for $25. Stallone walked away from there and just cried. How heart wrenching, Onward Nation. And yet…despite that day being the worst thing that ever happened to him in his life…he still wouldn’t quit. Two weeks later, he was watching a fight between Muhammad Ali and Wepner, who was getting bludgeoned, but he kept on coming back for more — he wouldn’t give up. And then Stallone got an idea. He said as soon as the fight ended, he started writing. Stallone wrote for 20 straight hours. He didn’t sleep. He wrote the entire movie in 20 hours straight. Right then and there. He saw the fight. Wrote the movie. Whole thing. Done. Stallone told Tony he was shaking at the end and he was so excited. He really knew what he wanted, Onward Nation. He knew why he wanted it. And he took massive action to get it. But — now that he had the script to Rocky — he still had to sell it to an agent. So he went out trying to sell it. Some read it and said, “This is predictable, this is stupid, this is sappy.” Stallone said that he wrote down all the things they said and he read them the night of the Oscars when they won. The greatest revenge can sometimes be massive success, Onward Nation. So back to the selling…he kept going…he kept trying to sell it and no one would buy it…and still — he was broke — he was starving. But finally, he met these two guys, they read it, and believed in the script, and they loved it, and they offered Stallone $125,000 for his script. And finally they said… “Take it or leave it.” So, as Stallone left the room he said, “If that’s what you believe, then you don’t get my script”…and he left. Again…this is a man had no money…none…totally broke…he was offered $125,000…more money than he had seen in his lifetime and he walked away because he knew his destiny and why he was committed to it. So the agents called Stallone a few weeks later, brought him back to their office, and they offered him a quarter of a million dollars for his script — and — to not star in his own movie. The agents came back with their final offer at $325,000 — they really wanted this script. Stallone said — “Not without me in it.” They said no. They finally compromised and they gave him $35,000 — as well as a revenue share in the movie — so that Stallone would share in the risk with them. The bottom line for the agents was that they didn’t think the movie would work so they were not willing to spend a bunch of money on it. And it grossed $200 million. It’s done pretty well. Tony figured Stallone went out and partied or something. Stallone said that he went to that liquor store where he had sold his dog — and he stood there for three straight days hoping the guy who bought his dog would come back. He wanted to buy back his dog. So on the third day that he was there — the guy walks by and he sees him and he can’t believe it — there’s his dog, too. And Stallone looked at him and I said, “Sir, you remember me?” Because it had been about a month and a half of time that had past since he had sold him his dog. $15,000 and a part in Rocky. 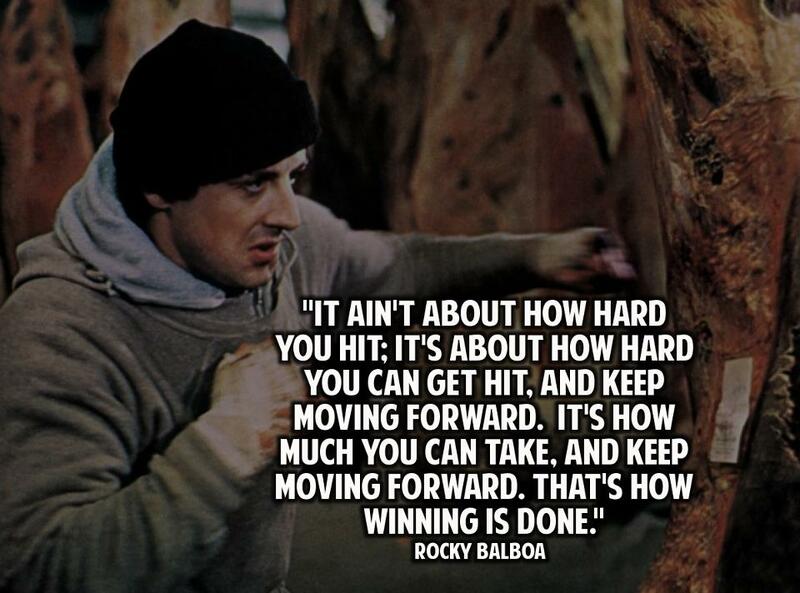 The guy is in Rocky, Onward Nation! You know that dog in Rocky, “Butkus,” that was Stallone’s real dog. That’s the dog he bought back. He put his dog in the movie — and — he put the guy in the movie and he paid him $15,000 when he only had $35,000. So, Onward Nation, there is always a way if you’re committed. You just have to keep changing your approach. Don’t ever quit. Never ever give up. You were meant for greatness, Onward Nation. You are a child of the most-high God. You are instilled with an abundance of talent and gifts. Please don’t let something so small as fear — or your circumstances — limit all you were meant to be. We will be back tomorrow with an incredible interview with Jim Harshaw, Jr. and his 4-step blueprint for success — Jim is off-the-charts and really delivers during this conversation. He applies laser focus to the exact steps you need to take in your business right now to move to that next level.